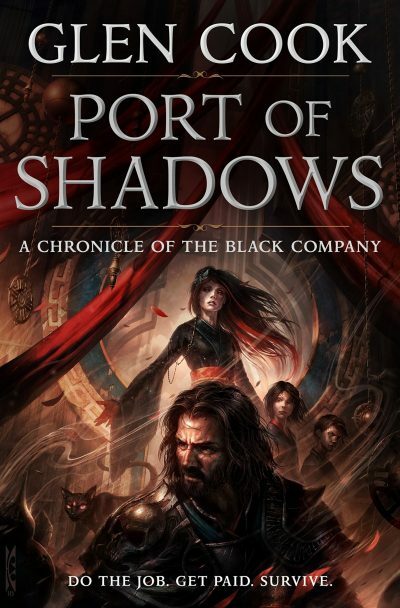 Glen Cook, the father of Grimdark, returns to the Chronicles of the Black Company with a military fantasy adventure in Port of Shadows. The soldiers of the Black Company don’t ask questions, they get paid. But being “The Lady’s favored” is attracting the wrong kind of attention and has put a target on their backs--and the Company’s historian, Croaker, has the biggest target of all. A free Angry Robot sampler of our very best in incredibly fun, action-filled, modern pulp science fiction and fantasy. Featuring the first four chapters from four brilliantly pulpy novels. Daughters of Forgotten Light by Sean Grigsby: a floating prison is home to Earth’s unwanted people, where they are forgotten… but not yet dead, in this wild science fiction adventure. Fury From the Tomb by S A Sidor: mummies, grave-robbing ghouls, hopping vampires, and evil monks beset a young archaeologist, in this fast-paced Indiana Jones-style adventure. Drake by Peter McLean: a sorcerer hitman takes out the wrong target and ends up in the crosshairs when he tries to do the right thing, for once. Necrotech by K C Alexander: street thug Riko has some serious issues – memories wiped, reputation tanked, girlfriend turned into a tech-fueled zombies – and punching people is the best way forward. Legion: The Many Lives of Stephen Leeds includes Legion, Legion: Skin Deep and the brand new, shocking finale to Leeds' story, Lies of the Beholder.